Deborah Wall is a freelance writer and photographer specializing in both adventure travel and family excursions. She writes an outdoor column for View Community Newspapers, a division of the Las Vegas Review-Journal. A lifelong hiker, she has been a ski racer and has taught skiing and sailing. A former television producer and news anchor, she also worked as a model for skiing and outdoor publications. 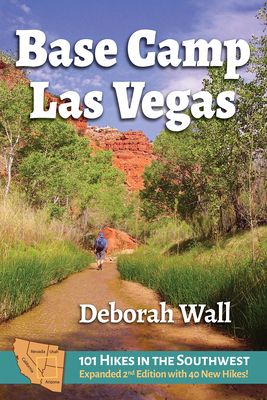 This book, her fourth, is an expanded and updated edition of Base Camp Las Vegas a best-selling hiking guide first published in 2010. Ms. Wall is the author of Great Hikes: A Cerca Country Guide (2004). She co-authored Access for All: Touring the Southwest with Limited Mobility (2014) and was a major contributor to Road Trips and Adventures, two more of the Cerca Country Guide series. She has a Nevada Press Association award for excellence and writes columns on BaseCampGuides.com about little-known hiking routes in the Southwest and tips for taking fun and safe trips.